Tehran, Oct 2, IRNA-An Iranian newspaper commented here Sunday on the country's judicial system calling for major sentencing reforms in the field. Referring to the latest comments of the Judiciary Chief Ayatollah Shahroudi who has recently issued new sentencing guidelines to judicial officials, prosecutors and judges, the 'Iran News' welcomed the guidelines urging for adoption of more sensible sentencing guidelines. Under the new guideline, small time offenders and criminals would become subject to monetary fines and other punishments instead of serving prison terms, said the paper. Suggesting that the decision was, apparently, made as Iran's prison system has faced an overpopulation problem for the last 15 years, the editorial added "The official capacity of prisons in Iran is 80,000 but the actual number of prisoners in the country is double the capacity." It further quoted observers as saying that to prevent crimes was the first priority of the judicial branch while crime prevention should not be confined to simply putting people behind bars. Criticizing that most jails in Iran "lack even the basic sanitary and hygienic conditions," the paper recommended the judicial officials o use other options for punishing "small time offenders." 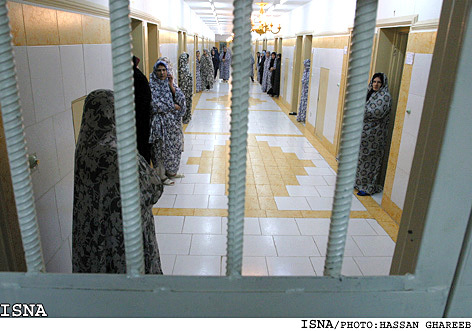 As for different options, the Iran News referred to fines, community service, rehabilitation training, monitoring movements of the offenders, putting them under house arrest and etc. "The judiciary should be involved in social and cultural crime prevention training within the community or setting up a parole system whereby ex-cons are monitored on a regular basis toward making sure they don't stray," the daily said. It also referred to experts as saying "a statuary review of all legal codes governing the judiciary is imperative," as many of the existing statues are "redundant, contradictory and inadequate," regretted the paper. Referring to the negative consequences of jailing an offender, the paper asked the judicial officials to seriously take into consideration that "jail sentence is the last option not the first when dealing with an offender. "When an individual is sent to jail he or she will never be the same person," said the paper noting that additionally, his/her family cannot escape the problems "because the breadwinner of the family is no longer in a position of supporting his or her dependents. "Legal analysts are of the strong opinion that our judicial system needs major sentencing reform," urged the paper noting "it is crucial that our judicial officials urgently adopt sensible sentencing guidelines."